AppRadio sold out at BestBuy? 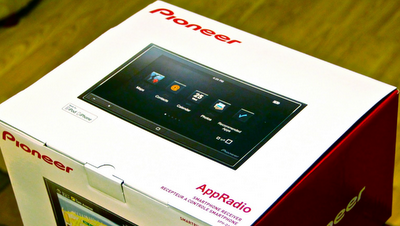 Just last week we reported BestBuy's amazing deal on Pioneer's first generation AppRadio. The device was priced at $199, which is the lowest it has ever been. But today, the deal is over and AppRadio doesn't even show up on the retailer's website. A few hours after the sale started it was quite difficult to find any stock around the local stores (the only way to avail of the price was to purchase online with in-store pick up). It seems like Best Buy has managed to sell out all it's AppRadio stock. Either that or it's preparing to sell AppRadio 2 which is still not available for purchase. Hopefully this means AppRadio 2 will be available in the next few days if not later today. We'll keep an eye. I just picked this radio up and still getting use to it.. i got the bb warranty I wonder if in a few months my appradio breaks will they upgrade me to the new appradio 2 ? anyone know?